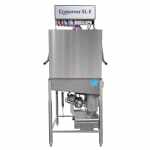 Using only 1.02 gallons of water per rack, the Jackson Conserver XL-E door-type dishmachine can clean 39 racks per hour. The wash cycle starts automatically, and operators can adjust the controls on the top-mounted panel, which is conveniently accessible for maintenance. 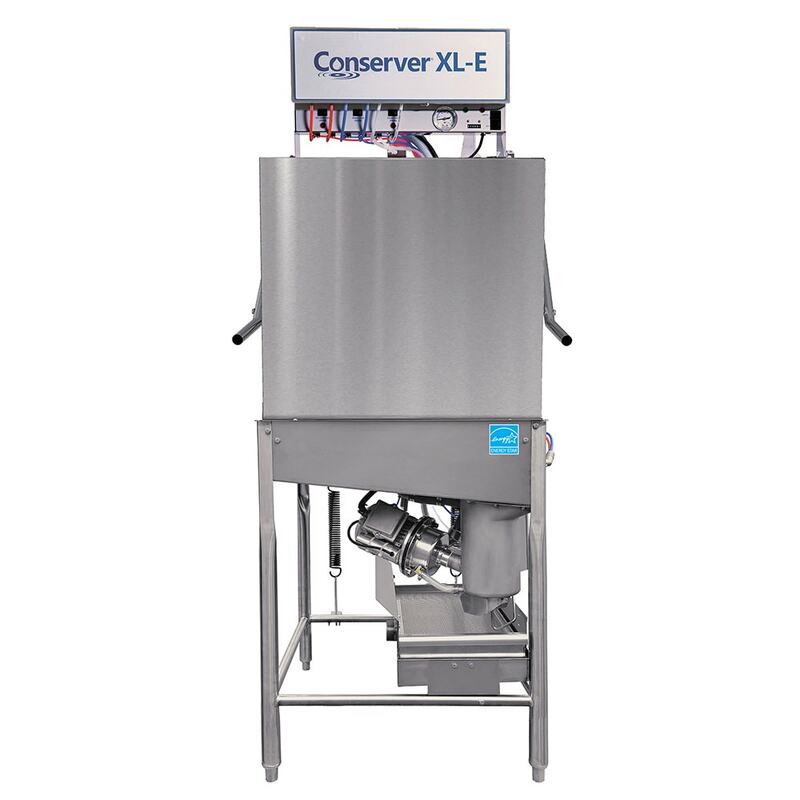 To ensure clean dishes and utensils, the self-draining stainless steel pump and removable scrap screen eliminate soil and detergent carryover between wash and rinse cycles. 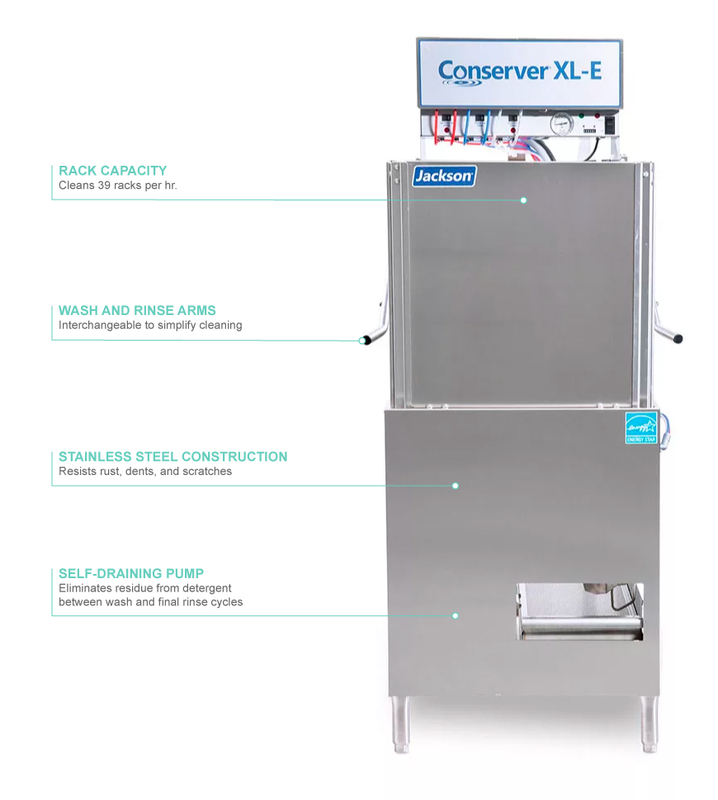 To streamline installation, the Conserver XL-E low-temperature dishwasher has adjustable feet, a single-point electrical connection, and a dual-point drain connection. It is also convertible from a straight-through to a corner setup and vice versa. A door safety switch prevents opening while a cycle is running, and the wash arms are interchangeable for convenience. The delimer switch runs a cycle that removes hard water deposits. Can wash 39 racks per hr. In-depth information on warewashers is available in our resource covering dishwashers.